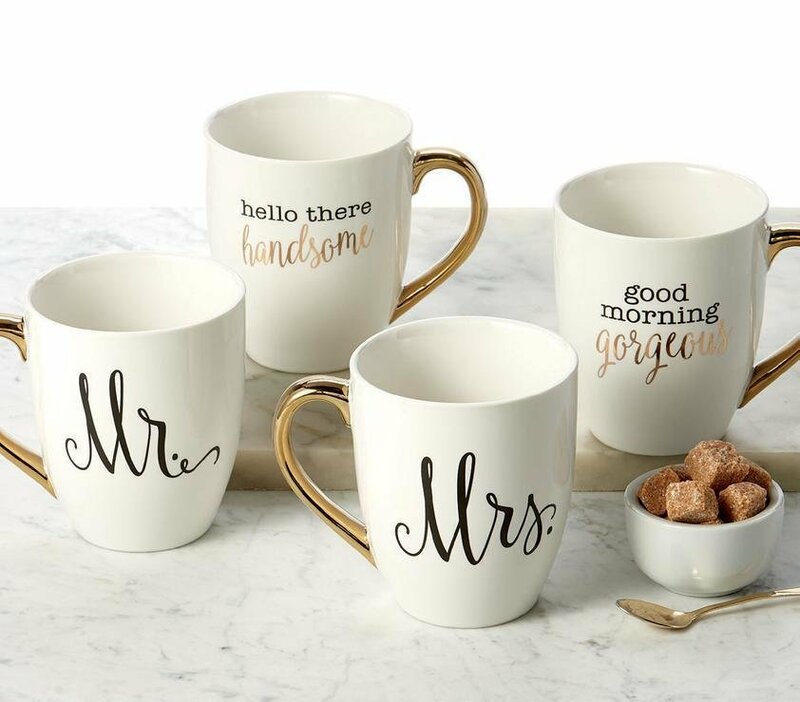 The bride and groom will love this classy white porcelain mug set with a beautiful gold trimmed handle. Typeface is elegantly displayed in black and or gold script letters. Each mug measures 4.5 x 4" in diameter. Hand wash with mild soap. Not microwave or dishwasher safe.